Fledging is a side story in the Liaden Universe. On the last two pages of I Dare, the last book in the five book Liaden arc, Theo Waitley arrives looking for delm of Korval. She explains “I’m here because my father’s missing and he told me-he always told me to go to the delm of Korval, if ever there was really bad trouble”. The last line in the book has Theo talking about the trouble and saying, “It’s kind of complicated.” Theo is a totally new character from a period in Daav’ yos’ Phelium’s life that we know little about. All of the fans of the Liaden series started asking questions about Theo and pestering the authors for more information about this new character. At the same time Steve and Sharon’s publisher went out of business without paying for books that had already been sold. Writers like to get paid for their work so they went to their fans with a proposal for Theo’s story. They would write Theo’s story and published it on the web if fans would contribute to the effort. A chapter would be written and published for every $300 contributed. Fans wanted the story and enough money was donated for the entire first draft of Fledging to be written. During this time a new publisher, Baen Books, picked up Steve and Sharon for publication. Baen agreed to publish a final edition of Fledging. Fledging is a book written for fans of the Liaden universe and is not a good first book it read in this series. I enjoyed watching the writing process from first draft (what I read on the web) to the final published book. The first draft of Fledging told the story but without the details that moved the story smoothly toward a climax. The problems were often confusing and hard to follow in the draft. In the published version everything flows, characters are defined and more of the details of Daav’s life while away from Clan Korval are revealed. What Fledging does not answer is what problem Theo brought to the delm of Korval. The answer to that is in the next book about Theo, Saltation. The first draft of Saltation was also written on the web and like Fledging Baen contracted to publish the polished copy. Look for it in April of 2010. If you are a fan of Liaden you have to read Fledging. Don’t stop with the first draft. Buy the book, it tells a much better story. 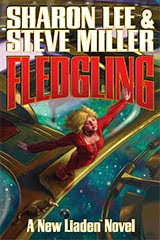 Baen published Fledging by Steve Miller and Sharon Lee in 2009. One of my sons recommended Brandon Sanderson as an author I would enjoy reading. I found Warbreaker at the library and it is the first novel I have read by Sanderson. It will not be the last. This book was originally written and published for free on the web. When I checked the web site it looked like it was still available to read for free. Warbreaker is set in a fascinating new world where BioChromatic magic comes from breath and uses colors for magic. Both Awakeners and the Returned need breath and can only get it from one person at a time. The person must give up breath voluntarily. When they give up their breath they become a drab and can no longer see color. War is coming in Warbreaker and two sisters, princesses, are trying to prevent the conflict from starting. The book follows both sisters along with various other characters living in different parts of the capital city. The building conflict brings them all together in the end. The story is gripping and full of surprises. The writing is great and the world is too complex for just one story. I hope there will be future novels set in the Warbreaker universe. TOR published Warbreaker by Brandon Sanderson in 2009. I remember when books came in Hardcover and Paperback. Hardcover’s could come in various sizes but paperbacks were all the same size. Then several years ago we started having Trade Paperbacks. I attended a panel where someone explained why Trade Paperbacks became so popular with publishers. It seems that the computer age created the ability to print on demand. You set the text using a computer program and save the text. When you need copies of the book you can use a standard 8 ½ by 11 sheet of paper to print 4 pages. The paper just folds in half and you have the size of a Trade Paperback. You can print on demand and charge more. You do not have to print a large run of books. No storage problems and no downside for the publisher. I have gotten used to that size but now I am finds a new size for paperbacks. They are the same width as a standard paperback but about an inch higher. They are also about $2.00 more. I have to wonder if increasing the price is the reason for this size. If someone knows another reason for this size post it in the comments section. I’m probably not the only one who wonders why??? 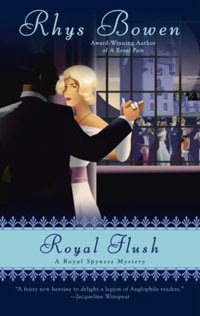 I recommended Her Royal Spyness by Rhys Bowen in my November 18, 2008 post. In that post I mentioned that much of the book was devoted to setting the scene and background for the series but it still had enough plot to hold a readers interest. With the background setup out of the way A Royal Pain and A Royal Flush move forward at a brisk pace. Lady Georginna, “34th in line to the throne and a penniless heiress”, finds her unique background aids in solving mysteries. Of course, if not for her background she would never be involved in the mysteries at all. Again there is the fascinating mix of real and imaginary characters. Set in 1932 the historical background becomes a part of the story in each book. Added to the mix is Lady Georginna’s attraction to someone who is also penniless and Catholic, a no-no for an heir to the British throne. 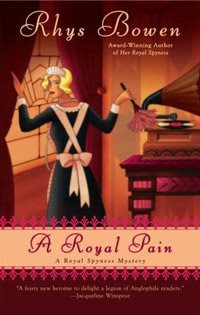 The promise seen in Her Royal Spyness is fulfilled in Royal Pain and Royal Flush. While each can be read as a stand alone the books are better if read in order. Berkley Prime Crime published Royal Pain in 2008 and Royal Flush in 2009. Rhys Bowen lives in California but was born in England. She has written two other series. Time and Again is the August reading choice for my local Science Fiction Book Club. 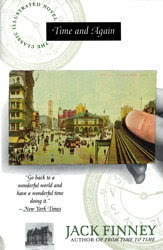 After reading the book I decided that Time and Again is a classic time travel story that all time travel fans should read. When you read about time travel it usually requires a time travel machine. Not so in Time and Again by Jack Finney. Here time travel is accomplished using intensive knowledge of the time you want to visit and self-hypnosis to allow you to cross to that time. Time and Again tells the story of Simon Morley, copy artist chosen for a secret government program. After extensive training Simon goes back to New York in 1882. 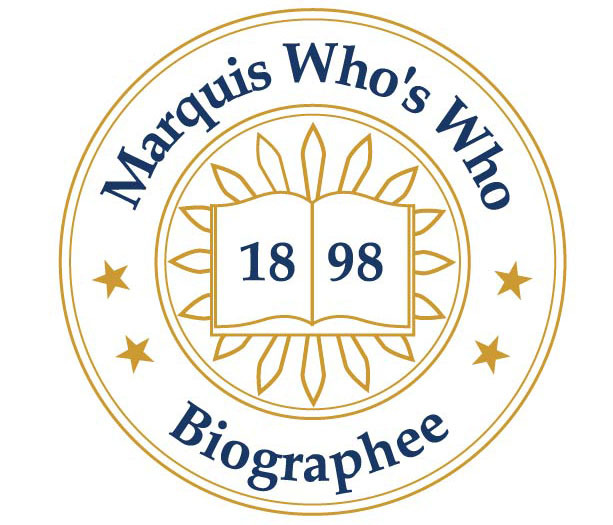 One of the fascinating things about the book is the extensive historical detail about 1882 that are part of the story. While this is a different type of time travel story the problems with changing the past are still a part of the story. Read the book to see what problems Simon Morley encounters after he starts traveling between 1970 and 1882. Time and Again by Jack Finney (1911-1995) was originally published in 1970. The copy I read was published by Scribner paperback Fiction in 1995. Time and Again will be released as an eBook in October of 2009. In 1995 Finney published sequel called From Time to Time. Tekgrrl by A.J. Menden is written in the same universe as Phenomental Girl 5. Tekgrrl features Mindy and Paul along with the entire group of hero’s that belong to the Elite Hands of Justice. They return with another thrilling adventure and a new romance. The writing is fast paced, the story engaging and the romance a surprise. If you like a world where super hero’s are common, we have already met other races from outer space, there are surprises at every turn, and right wins in the end Tekgrrl is the book for you. A.J. Menden has created another enjoyable book full of great characters and an engaging story. I hope that there will be further books set in this universe. 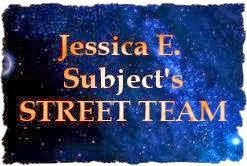 Leisure Fiction published Tekgrrl by A.J. Menden in 2009. I like to find new series. I just finished Silent in the Grave the first book in the Lady Julia Grey series and recommend it to anyone who loves mysteries. Set in London during the 1880”s, Silence in the Grave is filled with intriguing characters and details of life during the last part of the 19th century. As Silent in the Grave begins Lady Julia Grey watches as her husband Edward collapses at a party and dies. In poor health since childhood Edward’s death is attributed to his long-standing physical condition. When Nicholas Brisbane comes to call after Edward’s death and suggest that Edward was murdered Julia refuses to listen. It is only after finding a note that threatens Edward that Julia decides to find out if Edward died of natural causes or was murdered. Silent in the Grave is well written. The pace of the book allows Deanna Raybourn to include details that add to the authentic feel of the story. The mystery is well plotted, there are numerous twists, and more than one family secret is revealed. Pick up Silent in the Grave and be prepared for an enjoyable reading experience. MIRA published Silent in the Grave by Deanna Raybourn in 2007. Since the release of Silent in the Grave two additional books in the Lady Julia Grey series have been published.